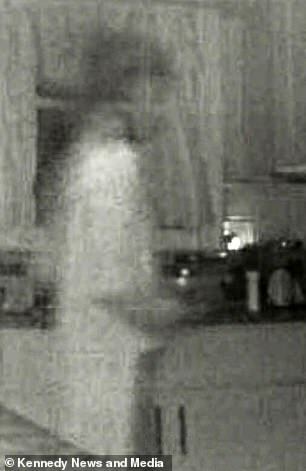 A woman claims that her security camera caught the ghost of her dead son at her home! Dailymail.co.uk reports that a woman said that her security system alerted her that somebody was in her house. She and her daughter couldn’t find anybody when they checked. The mom went back and looked at the tape later and was surprised. Mom said that there was a figure in her house that looked just like her deceased son! 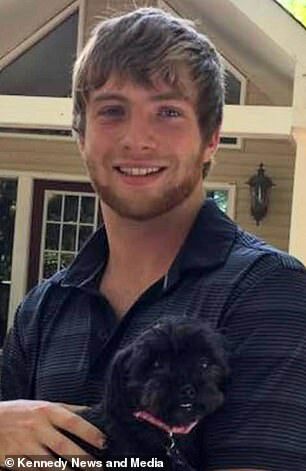 The woman lost her son 2 years ago from a drug overdose and she said that the figure that was caught on tape looks just like him! Does the image that was caught on the camera looks like her son? Do YOU think it was his ghost?